Best price guranteed ROVATTI PTO Pump, it can deliver 90 m3/h water flow at 81 m head! Rovatti single-stage T2-85E centrifugal pumps with overgear driven by cardan shaft of PTO. Axial inlet and scroll outlet. 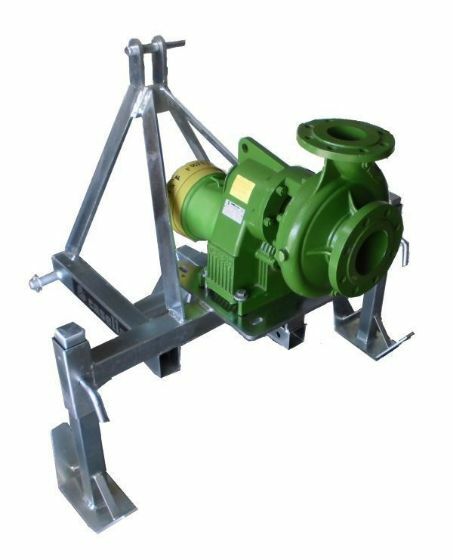 Rovatti T series of horizontal centrifugal CELAN WATER pumps are fitted with an over gear transmission box to be driven from a tractor or similar with a PTO outlet via the use of a cardan shaft. Comes with a 3 point linkage frame (galvanised), PTO drive shaft and 4" (100 mm) inlet/outlet fittings. This pump is highly suited for irrigation and washdown systems. A large range of single and multistage pumps to choose from with flows up to 120 m3/h and heads up to 72 m.
Since 1952 Rovatti Pompe, owned by Rovatti family, manufactures and develops centrifugal pumps for submersible and surface installations in Italy. Over the years the Company has diversified its activity from the production of pumps for agricultural applications to include pumps for industry, drainage, and sewage. Rovatti Pompe is the right partner of every Company around the world because it is able to respond quickly and efficiently to the rapid market trends. 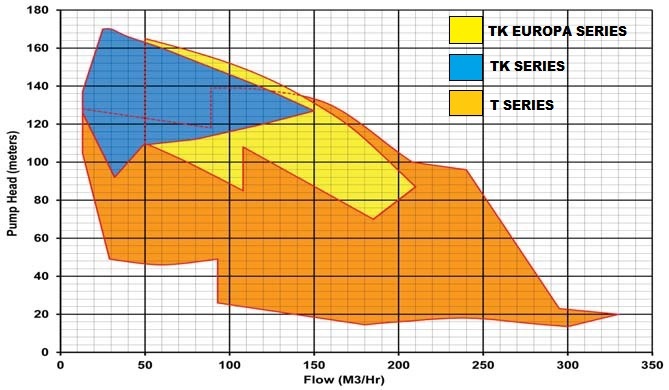 The wide range of centrifugal pumps produced, the well-established experience in the field and the continuous production quality improvement, summarize the potential fielded by the Company. The value of the employees which work for the Company, finally complete the driving force behind the entire Rovatti group. Rovatti has always been heavily engaged in an active programme of research and development with particular attention to technological innovations, manufacturing processes, market analysis and to the protection of the environment contributing to a better quality of life. World's leading Rovatti Pompe manufactures and develops centrifugal pumps for submersible and surface installations since 1952. Rovatti produces wide range of centrifugal pumps with well-established experience in the field and the continuous production quality. All Rovatti pumps are manufactured according to international standards and technical specifications of the customer to successfully satisfy many application areas. All Rovatti pumps are manufactured according to international standards and technical specifications of the customer to successfully satisfy many application areas. Technologically innovative products that provide maximum performance with minimum energy consumption, able to offer the highest security level, maintenance-free and ease of use conditions.